Scientists Agree: Meditation is the #1 brain changer. Effectively blowing away the scientific dogma of decades ago, the newly discovered principle of “neuroplasticity” means that our brain’s potential is not set at birth — we can actually strengthen and improve our brains in ways once believed impossible. 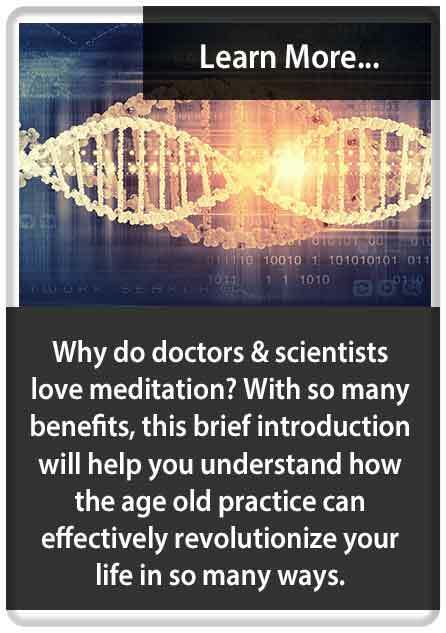 After 1000’s of studies, researchers have proven meditation as the #1 way to make your brain better, with the potential to transform your life on countless levels. Meditation makes your brain stronger, smarter, and faster, in the same way that physical exercise makes your muscles bigger, denser, with more endurance. Your brain on meditation. 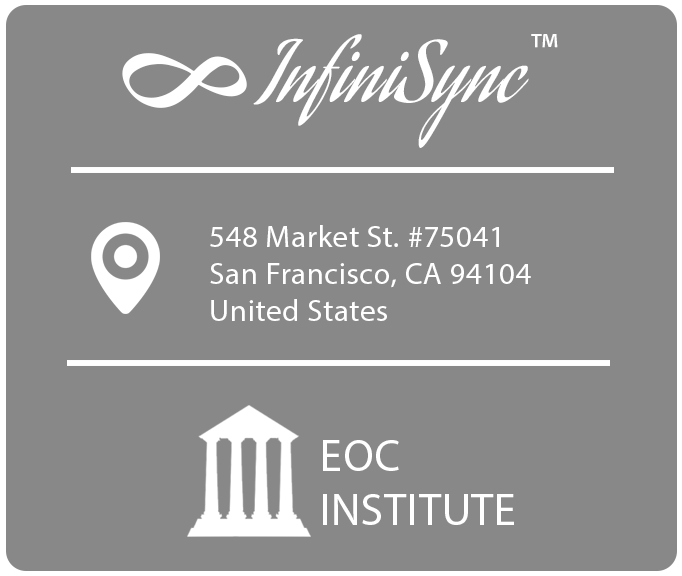 Because InfiniSync™ safely guides your brainwaves into deep meditation, it is helpful to understand some of the incredible science backing this super beneficial mind-state. 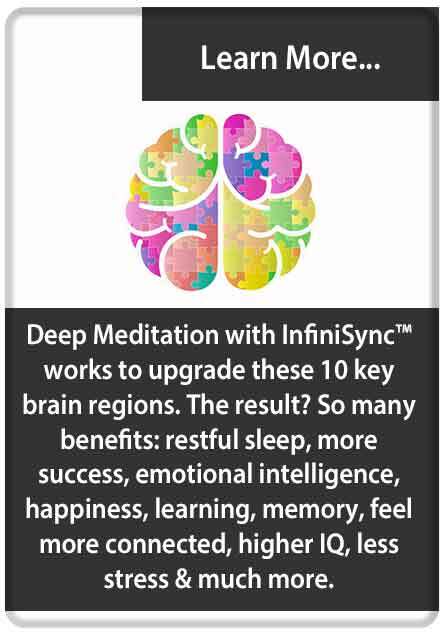 Here we go into 10 key brain regions significantly enhanced through meditation, as well as the implicated benefits. Jump to section: Intelligence, Success, Stress Response, Connectedness, Compassion, Depression, Memory / Learning, Emotional Intelligence, Happiness, Restful Sleep. 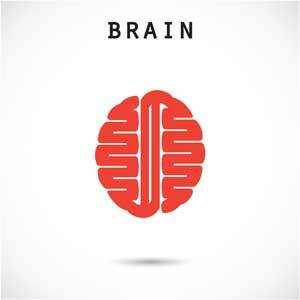 Meditation Brain Benefit #1: Prefrontal Cortex and Higher Intelligence. 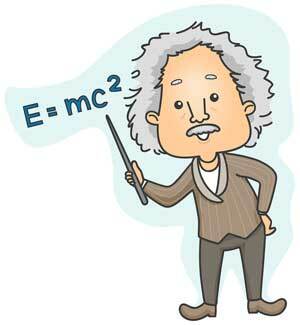 Perhaps history’s greatest scientific genius, researchers have long believed that in order to lay the foundation of modern physics, Albert Einstein must have had a very special brain. In 2012, it came to light that the legendary scientist’s brain had actually been preserved for a short time after his death, with a series of detailed photographs suddenly available for analysis. Florida State University researchers compared the brilliant physicist’s brain images to 85 normal people, successfully confirming that the father of physics did indeed have a one of a kind brain, with many very unique qualities. One highlight of their findings, Einstein’s extraordinary “prefrontal cortex” — the so called thought orchestrator, happiness center, and “CEO” of the brain, had more tightly packed gray matter, covering significantly more surface area. What if it was possible to build your brain up to this extraordinary level? Meditation & Einstein’s brain. A landmark 2005 study by Harvard neuroscientist Dr. Sara Lazar discovered that meditators had much more density, thickness, and neural activity within their “left prefrontal cortex” — just like Albert Einstein. Increased thickness in this “king of all brain regions” means many great things: far less anxiety and depression, improved decision making, stronger willpower, more success, more processing power, better health, the list goes on. 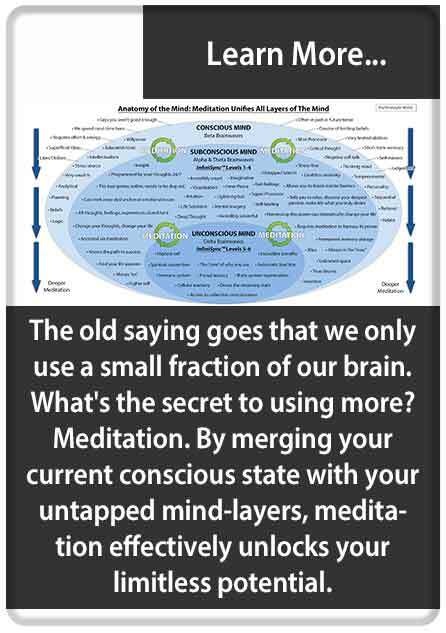 To compound this amazing discovery, Dr. Lazar found that the more years of meditation experience a participant had under his/her belt, the greater the overall size of their super-beneficial prefrontal cortex. Discover the world’s most powerful meditation system. 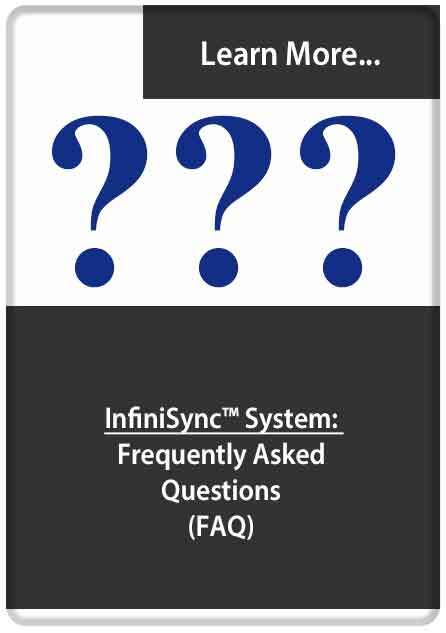 Get started with InfiniSync™ now! 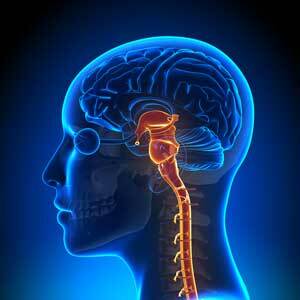 Meditation Brain Benefit #2: Corpus Callosum and More Success. Your brain has two hemispheres, left and right. 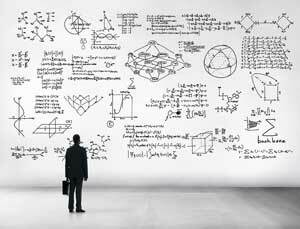 Logical, left-brained people tend to be more practical, most often good at math and science. 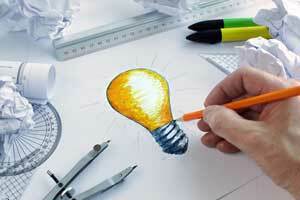 Creative right-brained people tend to be more intuitive, usually best at art and philosophy. Most people use one hemisphere more than the other, creating an imbalance. Which side is dominant for you? 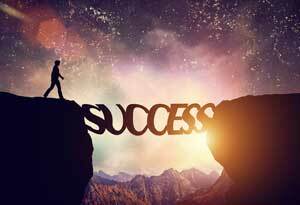 Unlike the rest of us, brain imaging studies have shown that highly successful people use both brain halves together, in balance. If only it was possible to train our whole brains to work in harmony? Thankfully, it is. A 2012 UCLA School of Medicine study found that meditators “corpus callosum”, the grand central station-like cable of nerves connecting the brain hemispheres, was remarkably stronger, thicker, and more well connected. This bridgelike structure is super helpful in getting your brain halves to communicate with each other like never before. What does this monumental discovery mean for you? Integrated brain benefits. 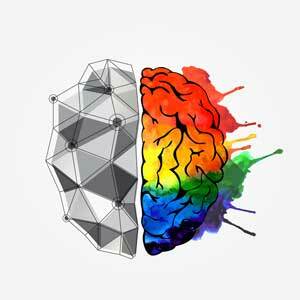 Harmonizing both of your brain hemispheres gives you an array of new abilities: increased focus, deeper thought, more creativity, optimized mental health, better memory, and clearer thinking, just to name a few. You will be happier, more optimistic, at one with the world. Financial, academic, and career success will come much easier, more naturally. 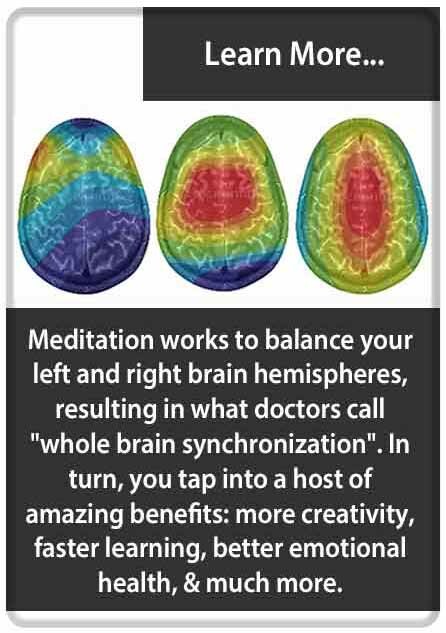 You may even regret that you didn’t sync your brain hemispheres in meditation years ago! Known as the anxiety, stress, and fear center of the brain, an overactive amygdala can lead to a whole host of problems, including the unnecessary initiation of our “fight or flight” response. Our stone-age ancestors needed their survival mode activated amygdala during their daily struggle to stay alive — modern man does not. 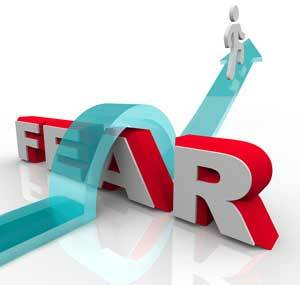 Meditation deactivates fear. 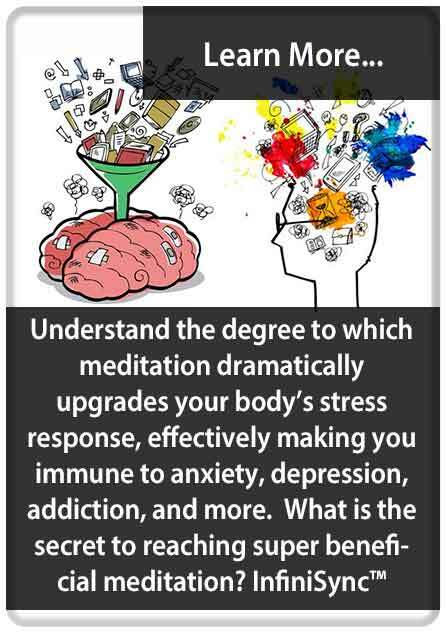 The good news is that meditation healthily and naturally transforms the structure of our brains, resulting in a major stress response upgrade. In fact, researchers at Massachusetts General Hospital MRI scanned participants before and after an 8 week mindfulness study — with astonishing results. Combined with a massive reduction in self-reported stress levels, their brain imaging showed remarkably less “fear center” amygdalae density, with far less “fearful message communication” to the rest of the brain. The icing on the cake, researchers also found the brain areas associated with focus and higher thought remarkably grew in strength. Upgrade your brain, upgrade your life. A monumental discovery with far-reaching implications, cooling off your over-heated amygdala effectively upgrades and rewires your stress response circuitry, opening the door up to an array of incredible mind/body benefits. Being bulletproof to stress, you can now live your life from a cool, calm, and composed state of awesome! Meditation Brain Benefit #4: Parietal Lobe and Feeling More Connected. Everybody knows that you have to eat right, exercise, and get enough sleep if you want to be a happy and healthy person. 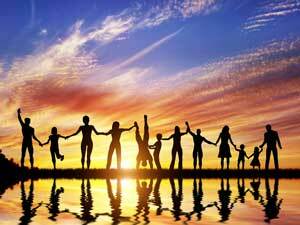 But very few of us know the importance of human connectedness to our mental, emotional, and physical well-being. In fact, one 2010 study published in “PLOS Medicine” found social connectivity increased longevity by over 50%! Another study by UCLA Professor of Medicine Dr. Steve Cole showed feeling connected to others strengthens immunity, while other studies have shown less anxiety and depression, higher self esteem, more empathy, the list goes on. Thinking back, when were your happiest times? Laughing, playing, enjoying quality time with loved ones, friends, and family tops many people’s lists, where the natural human connection redirects our minds away from our past/future tense worries, directly into the present moment. Meditation counteracts loneliness. While the very best cure for feeling isolated is a strong in-person social network and a loving family, this isn’t possible for everybody. Luckily, meditation activates the so called “social connectivity” parts of our brain, unlocking many of the same mental, emotional, and physical benefits that come along. A University of Pennsylvania scientist, Dr. Andrew Newberg, took brain images of Tibetan Monks during meditation. As expected, their frontal lobes lit up on the screen, just like countless other studies have shown. Meditation is your best friend. However, what surprised him most was that the meditators’ “third-dimensional” based parietal lobes cooled off immensely, which happens to be the same area that becomes overheated when we feel lonely. Meditation Brain Benefit #5: Right Anterior Insula and More Compassion. There is truth to the old saying “Give and you shall receive.” Many people think happiness comes from achieving, acquiring, and receiving, but research says otherwise. 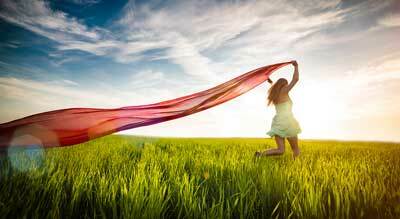 Scientists are now finding that our greatest fulfillment comes from living a life of meaning. It is in compassion — helping others, feeling connected, where we are truly the happiest. In fact, a brain imaging study at the National Institute of Health showed that our brains’ “pleasure centers” are activated when we donate to charity. 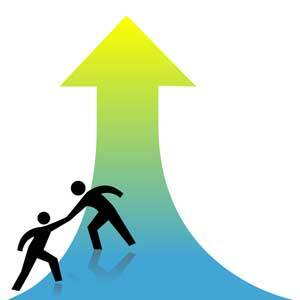 Another study at the University of San Diego found that like wildfire, helping others spreads to everyone nearby. Compassion upgrades everything. There are also a host of health benefits that come from practicing compassion, like alleviating anxiety and depression, strengthening the immune system, and helping you live longer. Did you know that there are certain brain regions activated when we practice compassion? And that we can do things to train our brains to be more compassionate? It’s true. A highly cited study, in 2012 UCLA School of Medicine researchers discovered the “right anterior dorsal insula” to be highly active during meditation. What’s the link? This happens to be the same brain area that lights up like a christmas tree during compassion, as shown by University of Wisconsin neuroscientists’ brain imaging. All of this research means that it is now possible to reap the countless benefits that come from being a more compassionate person: greater happiness, more fulfillment, feeling that life is meaningful, and deeper connectedness. 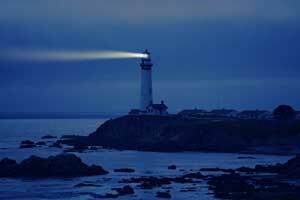 Are you ready to be a beacon of light in a sometimes dark world? It’s time to upgrade your brain — meditation is the key. Meditation Brain Benefit #6: Hippocampus and Exterminating Depression. As 1 in 6 people suffer from depression sometime in their life, there is no shortage of people ready to put their brains under the microscope for a chance at a possible cure. Because of this, we are closer than ever to conquering this ugly mental health issue. 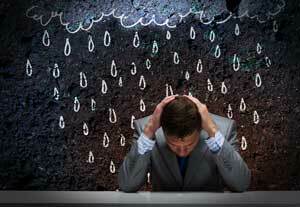 A 1996 University of Washington study measured the brains of 10 major clinical depression sufferers. What did they find? The hippocampi of the depressed patients had atrophied considerably, with extra deterioration for each year since their diagnosis. If only there was an all natural, super effective way to reverse this ugly brain weakening for depression sufferers? There is. A 2008 study published in the Neuroimage Journal found that after only 8 weeks of meditation, the left and right hippocampi of participants had significantly grown in neural thickness, density, and overall size. This incredible finding means that adding meditation to your daily routine can in essence put your brain on a level too advanced for depression, while putting the depression wheels in reverse. Like a baseball pitcher building up his shoulder muscles to prevent future breakdown, meditators have built up their hippocampi to levels that effectively makes them invulnerable to depression. Meditation Brain Benefit #7: Hippocampus and Great Memory/ Superlearning. Everybody has forgotten where they left their keys or blanked on a friend’s name. However, memory loss is not an inevitable part of the aging process, there are plenty of older people with perfect memory. Why then, do some of us have good memories and others of us can’t even remember our coworkers’ names? It’s all in your head! Dr. Larry Squire, a world-renowned psychiatrist at UC San Diego, published a groundbreaking paper titled “Memory, Hippocampus, and Brain Systems” — illustrating just how critical the hippocampus is in learning and memory. Pinpointing this key brain region has far-reaching implications for those looking to retain more information, do better in school, and move up the career ladder. Grow your brain, remember everything. If only it was possible to build up your hippocampus? And, in effect, have a leak proof memory with super-learning capacity? Thankfully, prominent Harvard neuroscientist, Dr. Sara Lazar and colleagues, have studied the brains of meditators for years. Among many other monumental discoveries, her research shows that meditators’ brains seem to always have well-formed, highly developed Hippocampi. Scientists of yesteryear would argue that people born with big and strong hippocampi were the only people with the capacity for super-learning and flawless memory. Luckily, we know better now. 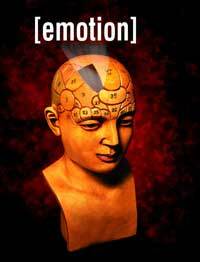 Meditation Brain Benefit #8: TPJ and Higher Emotional Intelligence (EQ). In decades past, most everyone agreed that the leading indicator for success was your IQ. Today, that is no longer the case. In his highly acclaimed, bestselling book, prominent psychologist Dr. Daniel Goleman really opened the eyes of the scientific community by making the compelling case for “emotional intelligence” (EQ) as the #1 success determinant. People high on the EQ chart tend to be successful at both work and play, having prosperous careers and long-lasting, fulfilling relationships. They tend to be altruistic, self-motivated, empathic, with the ability to love and be loved. In the years since his groundbreaking work, many prominent researchers have confirmed Dr. Goleman’s research, further validating his claims. 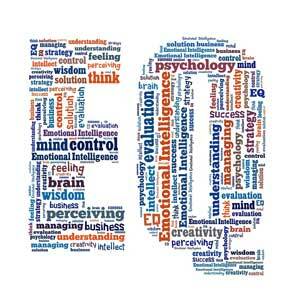 The brain & EQ. Since we aren’t born with a fixed amount of emotional intelligence, scientists have long sought ways to increase this elusive personality trait. After all, who doesn’t want to be more popular and successful? A 2013 University of Illinois study looked at various brain areas during emotional intelligence centered activities, like social interaction. An amazing finding, the researchers identified one particular region, the temporo parietal junction (TPJ) to be prominently lit up on the brain scan images. If only there was a proven way of building up this key brain area, and therefore, your EQ. There is! Long thought to be a critical brain area for highly empathic, conscientious people, Harvard neuroscientists have shown that meditation builds up a big and strong “emotional intelligence” centered TPJ, as evidenced by Dr. Sara Lazar’s revolutionary work. 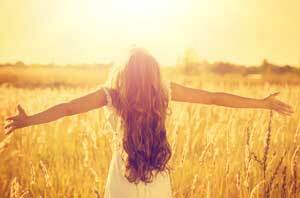 Meditation Brain Benefit #9: Posterior Cingulate and Happiness. We live in a busy world with a limitless supply of distraction. You cook dinner, surf the web, watch the kids, all while catching up on your favorite netflix show. But in the everyday scramble that is modern life, our preoccupations make us lose our connection with and appreciation for the present moment. It is so easy to lose touch with what we are actually doing and how we are actually feeling at any given time. Did you take time to notice the freshly bloomed magnolias on your way to work? 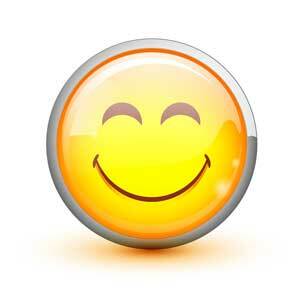 Did you pay attention to how refreshed you felt this morning after sleeping so soundly? Meditation makes brains happy. 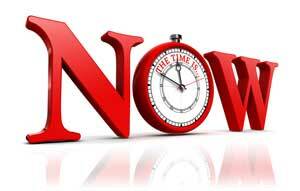 Keeping your attention focused on the present, accepting the moment without judgement, has been studied extensively for its seemingly limitless supply of positive psychological benefits. Many scientists are now saying this focused, non-judgemental state is where true happiness resides. Professor of Medicine Emeritus and creator of the Stress Reduction Clinic and the Center for Mindfulness in Medicine, Dr. Jon Kabat-Zinn has been paramount in bringing the practice of “mindfulness” into the mainstream scientific and medical communities. 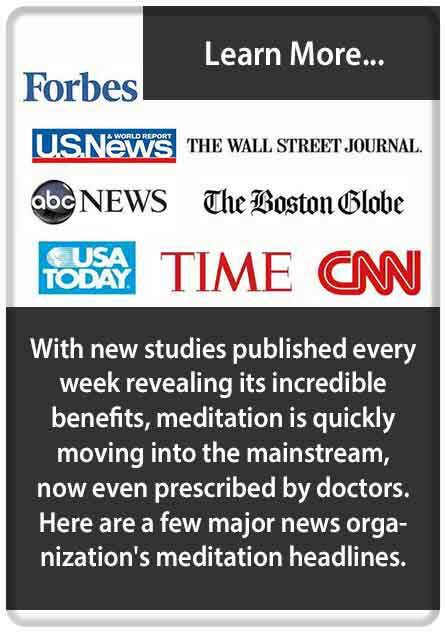 With its plethora of proven benefits, doctors are now even prescribing meditation to their patients! Internationally acclaimed Harvard brain researcher, Dr. Sara Lazar, discovered that one particular brain region responsible for the “wandering mind”, the posterior cingulate cortex (PCT), becomes deactivated during meditation. What does this mean? Corralling the so-called “wandering mind” opens up a whole wonderful world of “present mind” benefits, cancelling out much of the real reason for unhappiness. Maximize your potential. While it has long been known that practicing meditation is the key to cultivating mindfulness, it is a whole new ballgame to actually see the brain areas associated with heightened, present moment focus so easily forged and shaped by the millennia old practice. It is human nature to want a more satisfying, fulfilling life. 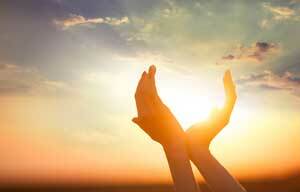 But very few of us really take the time to examine what it is that keeps us from our highest state of being. Meditation helps you to really savor the pleasures in life as they happen, helping you become fully engaged in the present moment. 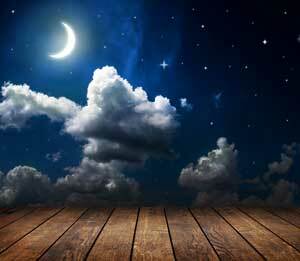 Meditation Brain Benefit #10: Pons and Restful Sleep. We have all stared at the ceiling just hoping to finally fall asleep, salvaging our remaining three hours before its time to wake up for work. However, chronic insomnia is much more than a minor inconvenience, it can take a major toll on your mood, health, energy levels, and your ability to perform your normal daily activities. 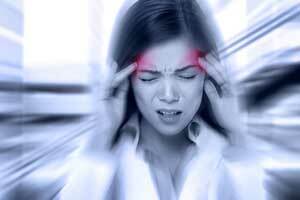 In the long term, lack of sleep can contribute to a host of nasty health problems. Not fun. Restful sleep is not just about making sure you lay in bed for at least eight hours per night, what matters most is the quality of your sleep. Dreamtime brain science. If you still feel tired, drowsy, and fatigued after laying in bed all night, you are likely not getting enough deep, quality sleep. Spending sufficient time in the REM stage is critical to your mental, emotional, and physical well-being. Luckily, scientists have studied the sleeping brain for decades, and now have a real grasp on its working components. Serving as the on/off switch to the REM stage of sleep, the funnily named, base of the brain originating “Pons” regulates the main dreamtime chemical: melatonin. Weakness or abnormality within this critical brain region will prevent you from getting deep, restful sleep, plain and simple. Meditation trains the sleeping brain. If only there was a proven way of building up this key brain area, and therefore, allow you to get life-nourishing sleep, night after night. There is! Among many other brain areas, neuroscientists at Massachusetts General Hospital have shown that meditation builds up a big and strong sleep centered “Pons.” In fact, whole books have been written by meditators about their lucid dream abilities, which of course is impossible without ample time in deep-stage REM sleep. Achieve Deep Meditation Quickly. 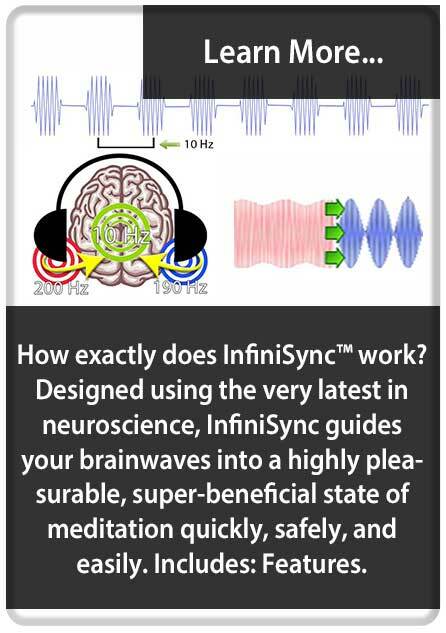 Tap into meditation's limitless benefits with InfiniSync's powerful sound technology. 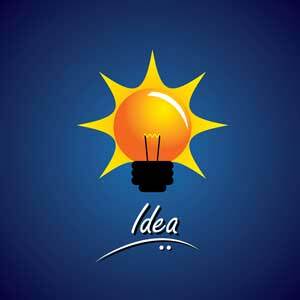 Harness Your Brainwave Power. Your brainwaves are key to a happy & healthy life. 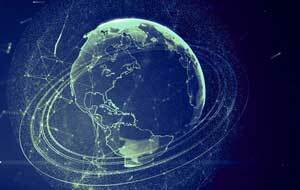 The science & features of InfiniSync. Balanced Brain Hemispheres. Meditation effectively balances your brain hemispheres. The result? Incredible benefits. Beat Anxiety, Depression, Addiction. Upgrade your body's stress response, transform your life. The secret? Meditation. Boost Healthy Brain Chemicals. 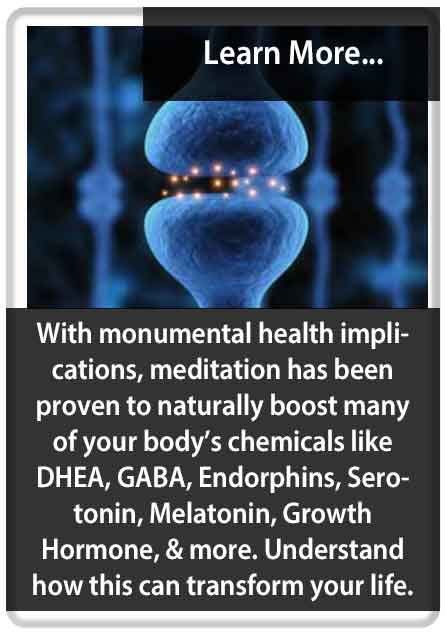 Meditation naturally boosts chemicals like Melatonin, Serotonin, DHEA, GABA, & more. 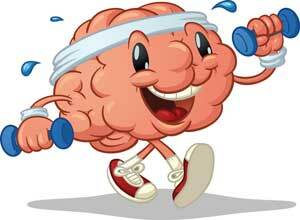 Strengthen 10 Key Brain Regions. Harness the power of meditation to make your brain happier, healthier, & more smart. Your Health: Before & After Meditation. 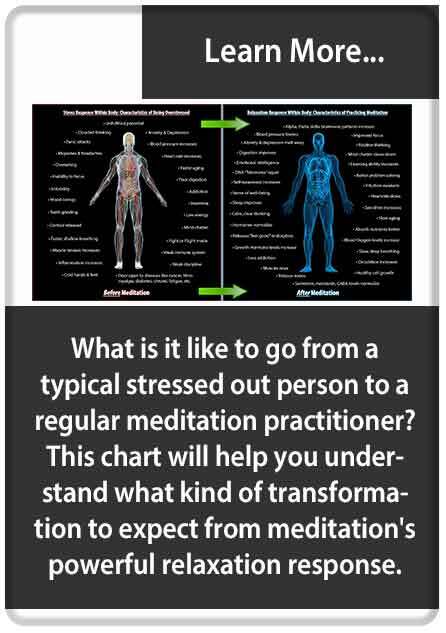 The transformation from being overstressed to meditation is amazing. Infographic. 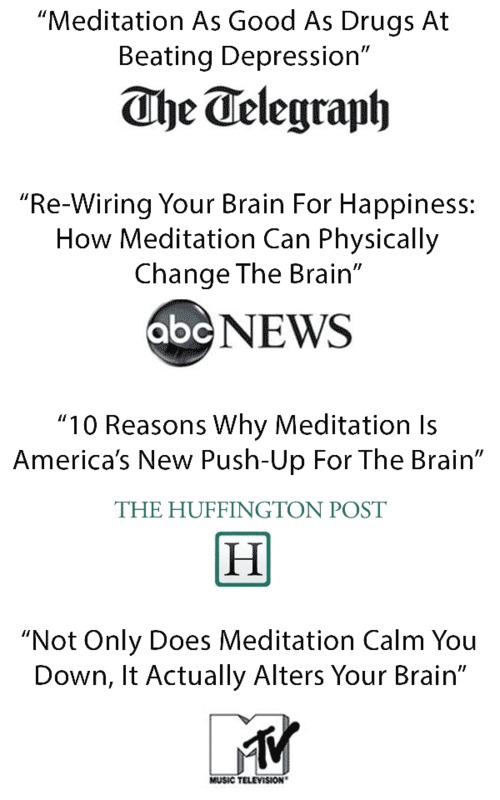 In The News: Meditation's Popularity. Have you noticed meditation's immense popularity? Just a few recent news headlines. The Power Of Your Deep Mind Layers. Meditation unleashes the incredible potential of our untapped mind layers. Infographic. Detailed Brainwave Benefits Chart. 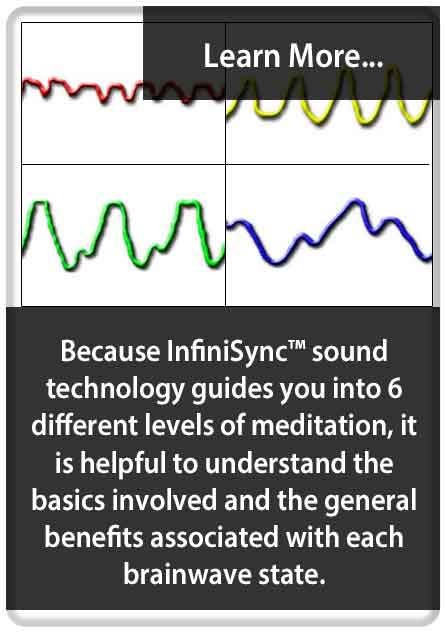 InfiniSync guides you into 6 different levels of meditation, see the brainwave benefits. 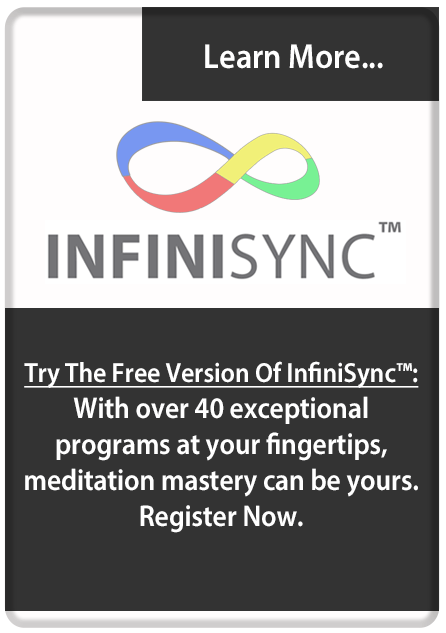 Free Version Of InfiniSync: Try Now. With over 40 exceptional programs at your fingertips, meditation mastery can be yours.